6 Tactics Insurance Companies use to WEAR YOU OUT | The Ashmore Law Firm, P.C. 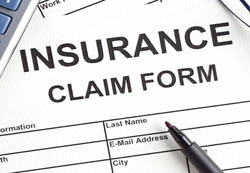 The insurance adjuster's main goal is for you to close your file and get you to release all of your insurance claims. The insurance adjuster isn’t going to tell you that you might have to turn around and take the check they just gave you and use it to pay back your health insurance company. I know the arguments the insurance company will make — and so should you — even before you file your claim. They know that often, personal injury victims are in a financial squeeze. Even if you have good health insurance, the fact that you aren’t working may make it difficult to pay co-pays and deductibles. The insurance company knows you are getting treated by the doctors, so they take their time with your claim. Insurance companies will insist that you track down every little piece of information before "we can evaluate the claim." Even if the information they are now asking for would not add a penny to their offer, they are happy to wait another six weeks for you to track it down. Meanwhile, they are earning interest on the money they are NOT paying you. Even though I’ve never met an adjuster who went to medical school, they seem to know just what treatment is right for you! Usually, they "know" that you were over treated because "our computers say you should have been better by now." 4. Nickel and Dime the Medical Charges. Think about it. If they shave just 5% off your claim and can do that to the millions of claims made each year, they get richer. This is a big one. They tell you that there’s only $100,000 in coverage. We file suit and "magically" find an umbrella policy! Don’t you think they knew that just by looking on their computers before we filed suit? Of course, they did. 6. Acting Like Your Friend and Making False Promises. Watch out for the adjuster who befriends you, shows up at your house and promises to pay your future medical bills. This is a tactic to stop you from hiring a lawyer. (Believe me, they won’t come around to your house once you have a lawyer.) Those future medical bills? Well, they’ll pay them until their computer says "too much, too much, this claim is costing us too much." Guess what? You may not need an attorney to represent you in your case. No one, however, should settle a case without understanding "the system." Each case is different and a personal injury attorney can give you quality legal advice when they understand the facts involved in your case.